The gerundization of “boy” and “raised” reminds me of Velimir Khlebnikov's “Там, где жили свиристели (Where the Waxwings Used to Dwell),” where Khlebnikov uses suffixes and formed words to convey specific meanings, with the word “momentwill (времирей),” a word he made up which sounds Bergsonian, relating to the joined words around it: “warblewingish,” “waxwings,” “beguilish.” Russian like German has larger words than English, so Khlebnikov is using this composite diction to combine two concepts generally kept separate: time and will, the will of the past enduring, befitting his wish for an eternal present and his belief that language has been a divisive force, which he set out to resolve by way of his zaum language (pdf, p. 33), the sort of representation of cosmological unity that Foucault criticized in Les Mots et les choses. In addition to works of his composed entirely in the zaum language, Khlebnikov uses made-up words in contexts of existing words that elaborate their possible meaning, as in “Grasshopper” and “Bo-beh-o-bi sang the lips,” assigning a non-connotive language to animals, objects, body parts, and sensory stimuli. Roman Jakobson said “The question of the interplay between speech sounds and letters and the possibility to utilize these interplays in verbal art, particularly on its supraconscious (zaum) level, vividly preoccupied me in 1912-14, and they were intensely discussed in my correspondence of 1914 with Krutchenyk and Khlebnikov." 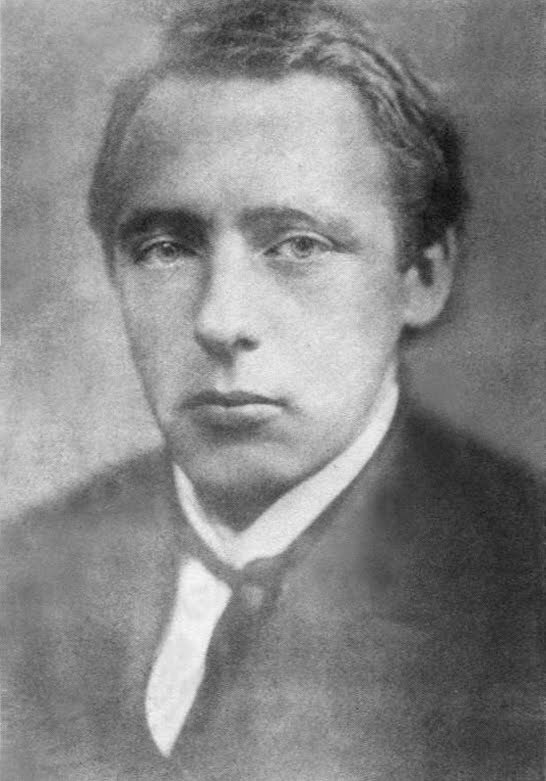 Osip Manselstam said Khlebnikov wrote “one enormous all-Russian book of prayers and icons from which, for centuries and centuries to come, everyone who may will find something to draw on.” Included in everyone are the Soviets and their more religious successors. The Soviet association most likely caused Joseph Brodsky to brand Khlebnikov taboo to the poetic foot soldiers of Reagan-era Cold War triumphalism, but a Khlebnikov revival in Russia seems afoot in the music and theater worlds that see in him a spiritual guide. The composer Vladimir Martynov was recently asked to compose a fusion piece for symphony orchestra and the Tuvan throat singing ensemble Huun Huur Tu and decided to use as his libretto Khlebnikov's creation myth of the Altay region Children of the Otter, and the work premiered in 2009. Martynov states in an interview that he finds in this Asian music and Russian traditions a model for "the end of the era of the composer," the preservation of cultures without humanist authors, a far cry from the “resurgence of the 'I'” Kristeva found in the artist Martynov is adapting.